Chefs Plate is a proud Canadian company that supports a sustainable food system by building direct partnerships with local farmers and suppliers. We promote responsible farming and give customers access to the freshest, highest quality ingredients at the best value. We are focused on building a better food system that supports Canadian suppliers, promotes responsible farming and eliminates wasteful steps in the supply chain. Chefs Plate works with Canadian family-run farms to source proteins that are responsibly farmed and raised without any needed hormones, to deliver the highest quality from farm to plate. Get to know one of our partners, Rossdown Farms, who helps ensure Chefs Plate sources only Canadian Raised Turkey. We work to sustainably source from suppliers who are fishing responsibly to deliver top quality seafood.  Chefs Plate is a proud Ocean Wise partner. Learn more about the Ned Bell & Ocean Wise partnership. Chefs Plate sources high quality, seasonal produce direct from Canadian farm partners which allows us to deliver fresher produce than you’ll find in the grocery store. Get to know one of our partners - Evergreen Herbs. Chefs Plate is committed to build a sustainable Canadian food system but also to supporting the community around us. We support Canadian farmers, fishers and suppliers and are proud to employ 350 Canadians in our facilities across Canada. We are also dedicated to reducing food waste as in Canada alone there is over $31 billion worth of food wasted and 40% of all food produced is wasted every year. Chefs Plate helps to reduce food waste at home by delivering only what you need to make delicious meals. Also, significant work and technology allows us to get our own food waste down to 1% with any excess food ingredients or meal kits donated to our community partners like Second Harvest and Abbotsford Food Bank - over 50K meals are donated annually. Chefs Plate is a long standing partner with Second Harvest which is the largest food rescue organization in Canada and they redirect Chefs Plate food donations to community agencies. They’re able to feed children, adults and seniors experiencing hunger. Their vision aligns with Chefs Plate as: No Waste. No Hunger. Chefs Plate is the first and only meal kit delivery company in Canada to be federally registered as safe for food processing by the Canadian Food Inspection Agency, so Canadians can have peace of mind and trust that every Chefs Plate meal they enjoy is safe and of the highest quality. Ready for the Taste of Quality?